We were honored to host the Nevada Women’s History Project. 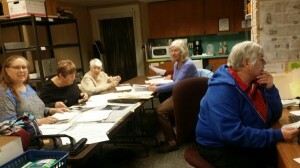 They were great to look over the files that pertain to our local woman’s history and have them archived in their system. You can visit their site and find valuable information about Nevada culture and history that they have documented.